One of the difficulties in curing HIV is its ability to mask the portions of itself required by the immune system to develop neutralizing antibodies. Additionally, HIV has the ability to lay dormant within specific subsets of immune cells indefinitely, requiring those infected to remain on treatment for the duration of their lives. The Institute for HIV Research strives to stay on the front lines of HIV research and vaccine development by investigating multiple topics of interest simultaneously. 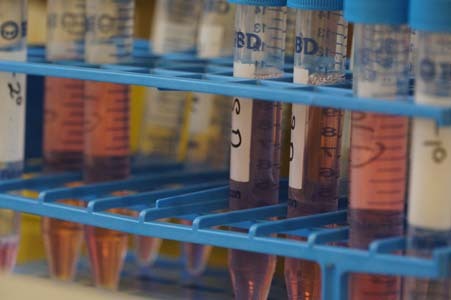 Our team of scientists readily adopt the latest technologies and scientific techniques to expediate the search for a cure while continuously developing their own novel assays and protocols to better answer the various immunological and biological questions that remain. The IHF seeks to elucidate which facets of the immune system are required to generate the most optimal response to infection. By looking at both the adaptive and innate immune systems, and the connection they share, we wish to harness the immune system and prepare it to fight prior to infection. We focus not only on how we can best engineer an immune response, but also analyze samples taken directly from vaccine trials around the world to determine which vaccine strategies show the most promise.